According to news reports from Committee against Execution in Kurdistan, Mr. Habibollah Latifi a Kurdish student and political activist is set to be executed on June 7th 2010 in the city of Sanandaj!! Also according to this news report two other political activists Mr. Shirkoh Moarefi and Ms. Zeynab Jalaliyan are also at imminent risk of being executed, most probably before June 12th , the anniversary of the so called Presidential [S]elections, in order to create an atmosphere of fear and terror. Further while most of the activists and human rights organizations have been busy focusing on the hunger strike of Majid Tavakolli, a very well known student activist, there are at least two other “lesser known” Kurdish activists who have been on hunger strike for close to 20 days. According to the news agency Kurdish Perspective Mr. Habibollah Golparipour, a Kurdish activist has been on a hunger strike for close to 20 days and has lost all consciousness as of yesterday, Sunday May 30th and is currently in an unconscious state. Mr. Golparipour’s mother has also started a hunger strike in support of his son. A second activist Mr. Mahyadin Azadi has also been on a hunger strike for two weeks. While Mr. Tavakolli deserves the support of the activist community, we cannot make the mistake of focusing on only one prisoner at a time, while there are thousands of other prisoners who are in similar situations. It is true that we may not have the time or the resources to create individual campaigns for each and every prisoner, however we must spend what time, energy and resources we have for campaigns that support and work for the freedom of ALL political prisoners, not just one. Long Live Freedom in Iran. I will be speaking at this event about the human rights violations committed by the Islamic Regime in Iran and what Canada can do to help. In the past three weeks the Islamic Regime has executed at least 6 political prisoners, 5 of whom belonged to an ethnic minority. On May 9th 2010 four well known Kurdish political prisoners Farzad Kamangar, Ali Heydariyan, Farhad Vakili and Ms. Shirin Alam Hooli were executed in the notorious Evin Prison along with another political activist Mehdi Eslamiyan. The Regime claimed that these activists were “Mohareb” (enemy of god) for their alleged involvement in PJAK a Kurdish opposition group. It must be noted that these political prisoners were tortured for months in order to obtain “confessions”, they were “tried” without lawyers behind closed doors, and their rights were violated every step of the way. On May 24th 2010 Abdolhamid Rigi a senior member of the Balouchi armed rebel group Jondullah was executed in the city of Zahedan. 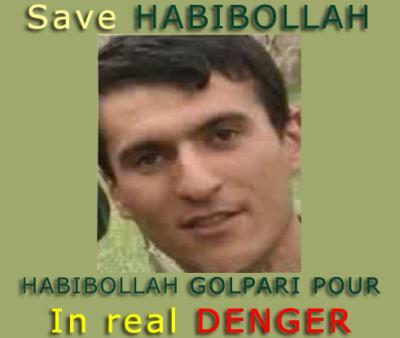 Abdolhamid was the brother of Abdolmalek Rigi, the leader of Jondullah who was arrested by Islamic Regime forces in February of this year. While many may have disagree with Mr. Rigi’s political view and activities, there is no doubt that he was also tortured, “tried” behind closed door and executed while his rights being violated until the very end. We are in the wake of the one year anniversary for the so called presidential [s]elections and the nationwide anti-Regime demonstrations which followed. The Iranian people are once again getting ready to pour into the streets and demand freedom, democracy and secularism. It is therefore no wonder that the Islamic Regime is stooping to new lows, out of shear fear of the power of people. The execution of these political prisoners so close to the one year anniversary of the presidential [s]elections is no doubt a technique to instil fear among the Iranian people in a desperate attempt to keep people from taking to the streets and demanding the overthrow of the Islamic Regime. By executing ethnic minorities the Regime may very well be trying to cause a minority rift among the Kurds and Balouchis’ once again brining the issue of separatism to the forefront. After all as long as the attention is on separatism, it is NOT on the Islamic Regime. The Regime has also “leaked” out a video of a prisoner in Gohardasht Prison being tortured to death, no doubt in order to create a further atmosphere of terror and show the brave Iranian activists what may be awaiting them if they dare to raise their voice against the Islamic Regime. I hope in the coming weeks we can keep the focus squarely on the Islamic Regime and do not get distracted by peripheral issues. This is the time, and freedom is within the grasp of the Iranian people. While many mothers all around the world celebrated Mother’s day with their children, 5 mothers in Iran had a bloody mother’s day, when they found out that their beloved children had been executed at the notorious Evin Prison early this morning (May 9th 2010). This morning many of us woke up to the tragic news that five Kurdish political prisoners who had endured years of imprisonment and torture had been executed this morning. These individuals were Farzad Kamangar, Ali Heydariyan, Farhad Vakili, Ms. Shirin Alam Hooli and Mehdi Eslamiyan. As devastating as this news was to me and to all other freedom loving people in the world, I try to take comfort in the fact that these individuals were executed because they did not bow their heads to the Islamic Regime and they refused to cooperate. Unlike many other “activists” who have cooperated with the Islamic Regime and have made a name for themselves in Washington, LA, Toronto, Ottawa and many other cities, these individuals refused to surrender to the Islamic Regime. They chose to fight to the very last minute, and die with dignity rather than to live like cowards. In this I try to find some comfort and peace. I also see this latest atrocity as a sign of weakness and desperation coming from the Islamic Regime. The fear of people and their demands for a free and democratic Iran has forced the Islamic Regime to murder these five innocent freedom fighters in a desperate attempt to instill fear and hopelessness in the heart of the Iranian people. What they do not (or maybe they do) realize is the fact that Iran is full of Farzads, Ali’s, Farhad’s, Shirin’s and Mehdi’s and the fight for a free, democratic and secular Iran will continue until the overthrow of the Islamic Regime. 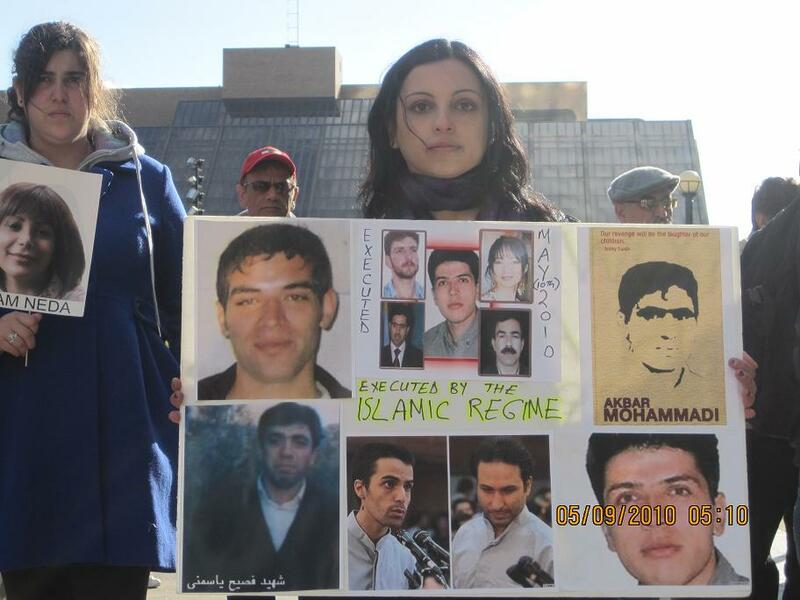 Today many activists and different groups and organizations in Toronto gathered at the Mel Lastman Square to protest against the Islamic Regime and the latest executions. We also commemorated the memories brave men and women whose memories will always stay with us. They may be gone but their path continues and will continue until the overthrow of the Islamic Regime. Tomorrow activists in Toronto will gather at Queens Park, while activists in Ottawa will protest in front of the Islamic Regime Embassy against the Islamic Regime and it’s atrocities, while Iranian activist, as well as families of those who were executed today will gather in front of Tehran University to protest against these atrocities. My condolences go out to the families of those who have lost their loved ones today, and to the entire Iranian nation as todays loss is all of our loss, we’ve all lost our brothers and sister today, and we can only take comfort in the fact that they went, with their heads high, and without giving the Islamic Regime what it wanted from down. Their path must and will continue, until VICTORY. According to Kurdish Human Rights Association this morning May 9th 2010 the Islamic Regime executed five (5) Kurdish prisoners four (4) of whom were political prisoners in the Evin Prison. It must be noted that Ms. Shirin Alam Hooli’s case was still in the process of appeal and no judgement had been rendered. It is obvious that the Islmaic Regime has started a new wave of executions in order to instil fear and hopelessness among the Iranian people, this can only be a reflection of the Islamic Regime’s own fear and hopelessness in the face of Iranian Society’s fight for a free and democratic Iran. Neither the lawyers or the families of these prisoners had been given any notice that the execution was to carried out this morning. 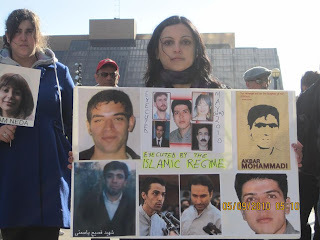 There will be a protest against the Islamic Regime, to condemn the recent wave of executions in Ottawa, Ontario, in front of the Iranian Embassy at 245 MetCalfe Street tomorrow May 10th 2010 from 12pm to 2pm. I sincerely hope all freedom loving people will join us to condemn the recent executions and the Islamic Regime as a whole. Ms. Alam Hooli (DOB: June 3rd 1981) was born in the village of Gheshlagh near the city of Maku in Iran. She was arrested in May of 2007 by the Revolutionary Guards in Tehran. She spent the first 25 days of her imprisonment in an unknown location under brutal physical and psychological torture. After that she was transferred to Section 209 of the Evin Prison where she was held in solitary confinement and subjected to brutal torture for six (6) months. After that she was transferred to the Women’s ward in the Evin Prison. On December 19th 2009 she was sentenced to two (2) years of imprisonment for illegal exit from Iran, and sentenced to death for being a “Mohareb” (enemy of God) for her alleged involvement in Free Life Party of Kurdistan (PJAK). Her trial took place in Branch 15 of the Revolutionary Court in Tehran, under Judge “Salavati.” He lawyer was informed of the decision on January 3rd 2010 and has appealed the decision, however to this point there is no judgement from the Court of Appeal. In her first letter Ms. Alam Hooli wrote about the brutal physical and psychological torture she was subjected to during interrogation. As a result of that torture Ms. Alam Hooli is currently suffering from numerous health problems which she has pointed out in her current letter. In her previous letter Ms. Alam Hooli had also stated that the interrogators had tried very hard to break her hunger strike. In her second letter she writes about how the interrogators are trying to force a televised confession from her, asking her to deny her Kurdish ethnicity by subjecting her to further interrogations. I am entering into my third year of imprisonment, three years under the worst conditions behind the bars of the Evin Prison. I spent the first two years of my imprisonment without a lawyer, and in pre-trial custody. All my inquiries about my case went unanswered until I was unjustly sentenced to death. Why have I been imprisoned and why am I going to be executed? For what crime? Is it because I am Kurdish? If that’s the case than I must say I was born a Kurd. My language is Kurdish, the language that I use to communicate with my family, friends and community, and the language that I grew up with. But I am not allowed to speak my language or read it, I am not allowed to go to school in my own language and I am not allowed to write it. They are telling me to deny my Kurdishness, but if I do, that means I have to deny who I am. When you were interrogating me, I couldn’t speak your language and couldn’t understand you. I learned Farsi in the past two years in the Women’s section of the prison from my friends. But you interrogated me, tried me and sentenced me in your own language even though I couldn’t understand it and couldn’t defend myself. The torture that you subjected me to has become my nightmare. I am in constant pain because of the torture I was subjected to. The blows to my head during interrogation has caused major problems to my head, and sometimes I suffer from severe headaches, where I lose all sense of myself, my nose starts bleeding from the pain and this lasts for several hours until I start to feel normal again. Another “present” your torture has left me is the damage to my eyes which gets worse every day. My request for glasses has gone unanswered. When I entered this prison my hair was black, now after three (3) years of imprisonment, my hair has started to turn white. 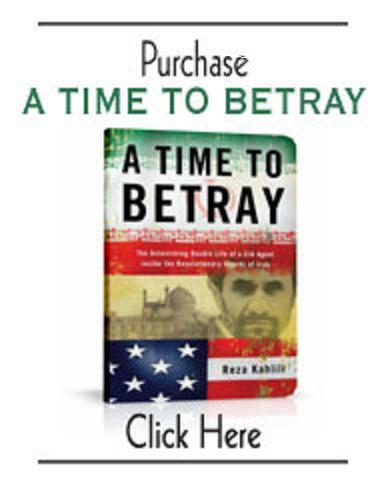 I know you have done this not only to me but to all Kurds including Zeynab Jalaliyan and Ronak Safarzadeh... The eyes of Kurdish mothers are full of tears, waiting to see their children. They are in a state of constant worry, in fear that each phone call may bring the news of the execution of their children. Today is May 2nd 2010 and once again they took me to Section 209 of the Evin Prison for interrogation. They asked me to cooperate with them in order for me to be pardoned and not executed. I don’t understand what they mean by cooperation, when I don’t have anything more to say than what I have already said. They want me to repeat whatever they say, but I refuse to do it. The interrogators told me “we wanted to release you last year, but your family wouldn’t cooperate with us so things had to come to this.” He admitted to me that I was a hostage and until they reach their goal they will keep me a prisoner or execute me but they will never release me. It must be noted that at the end of her letter after her name and the date she has written “Serkefitn” in Kurdish which means Victory.